2. Double Crossing’s Technique As above, the best Rosy Adenium using as father or pollen is “Dox Xon” because her own stability made father’s flower characters less change. Here is what I produce triple or more overlapping petals and I called this “Double Crossing’s Technique”. 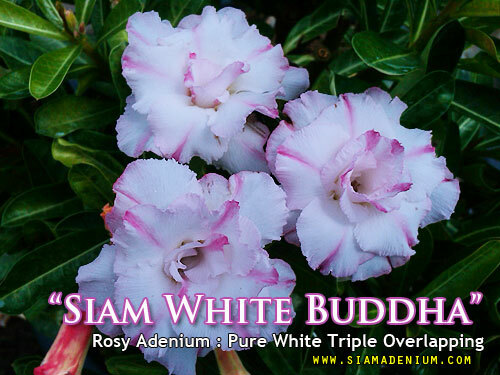 After getting nice single petal on my own wish then I need to produce the double overlapping petal on her by crossing her with Rosy Adenium: ” Dox Xon” then she will come up with new Rosy Adenium much look like mother’s flowers characters but mostly double overlapping petals. 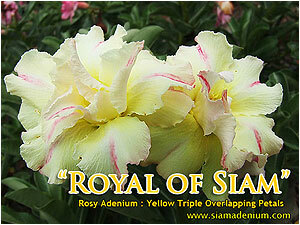 After that make 2nd crossing on her again with “Dox Xon”, then you will get “Triple Multi-Overlapping” petals. 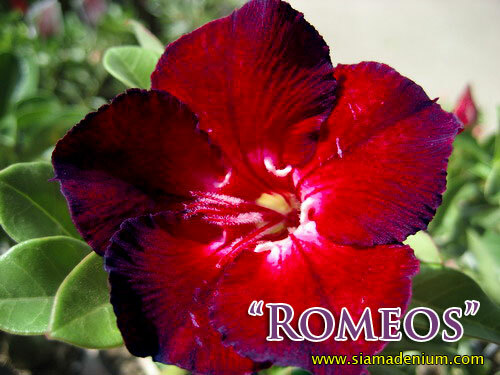 From my experiment, I have found that only 15% with new Rosy Adenium like mother, 50% Rosy Adenium but red like Dox Xon or father, and the rest are single petals. Please see the diagram below to get more understanding. Rootstock condition is one of the important factors; we use the “organic fertilizer”, not use the chemical fertilizer to boost the caudex size, to grow rootstock naturally. Using chemical not only boost caudex grow faster and bigger, it will impact to flower colors and characters and the risk is rootstocks will get rotten easier during delivery and repotting. You can see the Rosy Adenium’s producing is very easy. You just select the nice or beauty of single petal and follow the steps above. 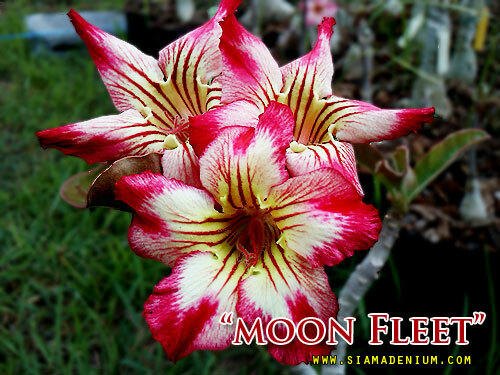 There will be many things to know about Adenium and have fun with developing them. 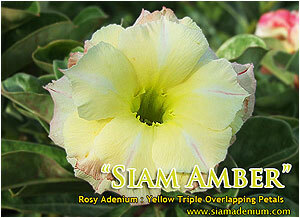 Now we can make Adenium flowers like Rose, which without thorns but nice caudex and roots. One thing that they don’t have is “fragrance”. 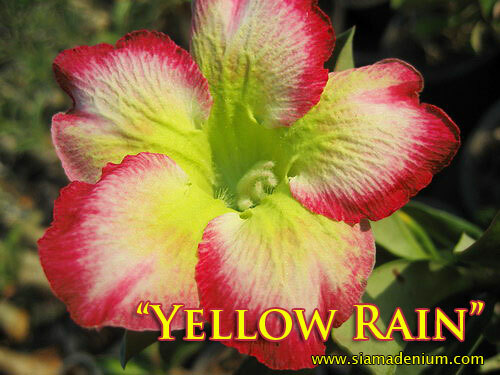 Fortunately, we have fragrant on single petal and now we start crossing this with Rosy Adenium. 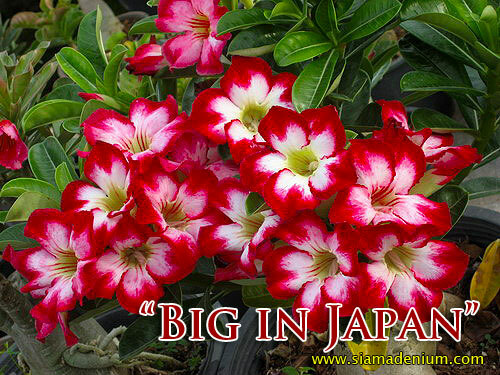 We hope in next year, we can have new Rosy Adenium come up with fragrant. 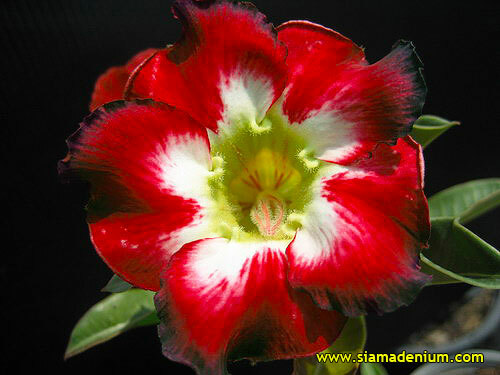 I think that’s all for today, please feel free to email me to ask or comment about Adenium, Enjoy growing Adenium and have a nice day.